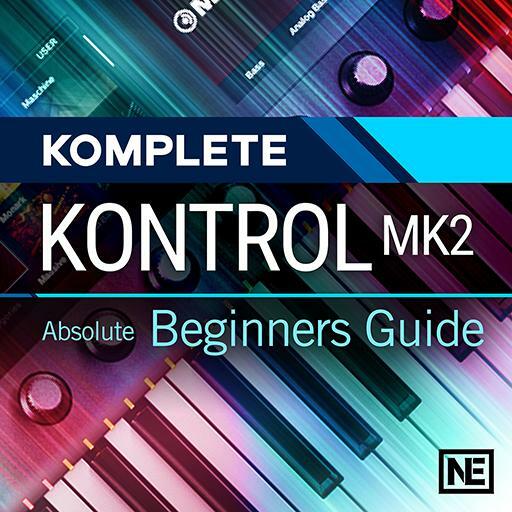 Komplete Kontrol Mk2 101 - Absolute Beginners Guide. Which Native Instruments instrument more frequently has a 2nd page available? Keywords are set from the factory for all instruments and cannot be altered. Komplete Kontrol software can read both Reaktor and Kontakt instruments. Who typically maps the default controls for an NKI file? Different Kontakt libraries will show up in the instrument browser as completely separate instruments. DAW control in GarageBand requires additional software. The rotary encoder also functions as a directional joystick. What button on the Komplete Kontrol keyboard will enable cycle recording in GarageBand? Different chords will be played depending on the scale tonality chosen. How many macros can be mapped per page? Which side of the screen displays the highest level in the browsing hierarchy? Custom scales can be enabled from both the Komplete Kontrol hardware and the software interface. What color do standard playable notes typically show up as in Kontakt? Channels can be selected by the soft buttons as well as navigated to with the joystick. You cannot enable both octave shifting and pitch transposition simultaneously. Which of these functions is NOT supported by the Komplete Kontrol hardware? Maschine hardware is required in order to open the Maschine software. What is the default note value of the keyboard’s quantize button? If you are experiencing latency, what should you do to your audio buffer size? What must you ‘show’ in order to gain access to an application’s resource folder? Which version of the Komplete Kontrol Software has audio and MIDI preferences?